Woven Poly "SUN BLOCK" Tarp, Waterproof, Mildewproof, Tear Resistant, Acid Resistant, 6 oz per square yard, 11-12 mil thick, 14x14 weave count, grommets approximately every 18", reinforced corner grommet, finished size approximately 2% or 6" shorter. 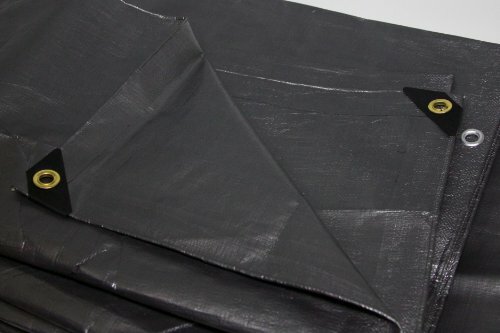 If you have any questions about this product by HARPSTER TARPS, contact us by completing and submitting the form below. If you are looking for a specif part number, please include it with your message.